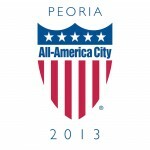 Peoria, IL – Ameren Illinois and the Peoria Civic Center will be bringing Broadway to Peoria with five award-winning shows as part of the 2019-2020 Ameren Illinois Broadway Series. Included in this season are THE SPONGEBOB MUSICAL, JERSEY BOYS, WAITRESS, BLUE MAN GROUP, and BEAUTIFUL. Also added to this season’s lineup are WE WILL ROCK YOU and Peoria Ballet’s THE NUTCRACKER. Season ticket renewals for current holders are available starting April 8, and are due May 6. New season tickets will go on sale May 1. For more information on becoming a Season Ticket Holder visit PeoriaCivicCenter.com/events/ameren-illinois-broadway-series. The Season kicks off with THE SPONGEBOB MUSICAL, playing two performances, October 29 and 30. A legendary roster of Grammy® Award winners. A visionary director and a Tony Award®-winning design team. One of the world’s most beloved characters. Turn them loose on stage and what do you get? The musical The New York Times declares, “BRILLIANT!” Broadway’s best creative minds reimagine and bring to life the beloved Nickelodeon series with humor, heart and pure theatricality in “a party for the eyes and ears” (Daily Beast). Explore the depths of theatrical innovation in THE SPONGEBOB MUSICAL, 2018 Best Musical winner of the Drama Desk and Outer Critics Circle Awards, where the power of optimism really can save the world. WAITRESS makes its Peoria debut for two performances on February 16. Inspired by the beloved film, WAITRESS tells the story of Jenna, an expert pie maker who dreams of a way out of her small town. A baking contest and the town’s new doctor may offer her a fresh start, but Jenna must summon the strength to rebuild her own life. “​WAITRESS​ is a little slice of heaven!” says Entertainment Weekly, and is “sweet, sassy and passionate,” according to New York Magazine. The show features music from Grammy award winner Sara Bareilles. Don’t miss this uplifting celebration of friendship, motherhood, and the magic of a well-made pie. BLUE MAN GROUP returns to Peoria for two shows March 17 and 18. At BLUE MAN GROUP, you’ll rock, laugh and party. As three bald and blue men explore our world, together we’ll discover music, comedy and surprises at every turn. BLUE MAN GROUP performances are euphoric celebrations of human connection through art, music, comedy and non-verbal communication. The show is universally appealing to a broad range of age groups and cultural backgrounds, and continually injected with new music, fresh stories, custom instruments and sensory stimulating graphics. WE WILL ROCK YOU is the season’s first additional show, with one show on September 19. With the Oscar-winning film, Bohemian Rhapsody, the music of Queen is more popular than ever. WE WILL ROCK YOU follows two revolutionaries, Galileo and Scaramouche, on a quest to save rock n’ roll in a post-apocalyptic world where there are no musical instruments and rock n’ roll has died. WE WILL ROCK YOU reflects the scale and spectacle that marked Queen’s live performances and earned the band its pinnacle position in rock history. THE NUTCRACKER has been a tradition for generation of Peoria families. Put on by the Peoria Ballet, THE NUTCRACKER will delight the audience in dazzling all new choreography, spectacular sets and costumes, graceful dancers from the famous Joffrey Ballet, and the timeless music of Tchaikovsky performed live by the Heartland Festival Orchestra. This is the first year the show will be included in the Ameren Illinoi Broadway Series, with three performances December 14 and 15. The 2019-2020 Ameren Illinois Broadway Series is sponsored by Ameren Illinois. Show times and dates are subject to change; please refer to www.PeoriaCivicCenter.com for the most up to date information on all shows.